A set of 6 graduated Mythical HINTHA BIRD OPIUM WEIGHTS, Burma, 18/19th Century. The tallest one measures 4.5" high (11 cm.). 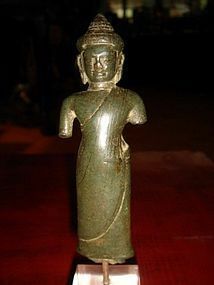 A rare BAYON PERIOD KHMER BEAD 22K. GOLD (or higher) with one Button fitting the center hole. 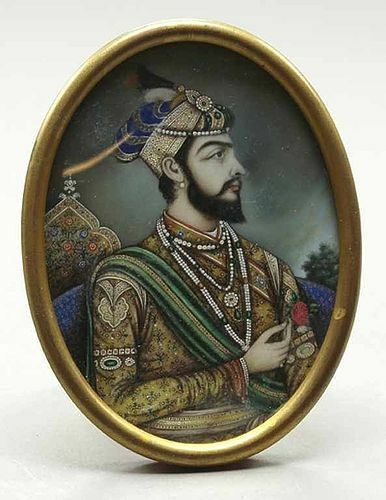 Intricately worked, excellent condition. Size: 22 mm. x 17 mm. Weight: 10 gr. 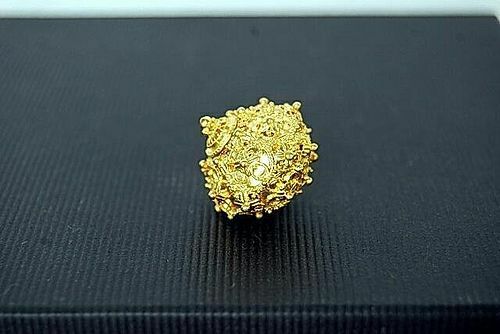 Suitable for a Center Piece of a Necklace if Button is removed! 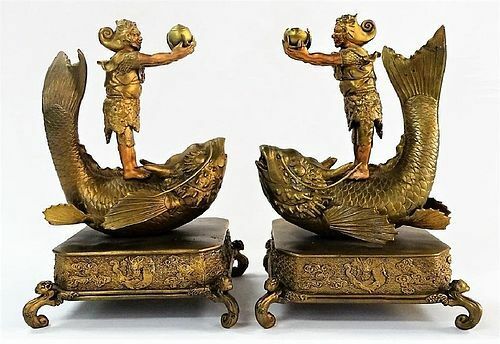 Wonderful SCULPTURES OF A PAIR OF MEIJI OR TAISHO JAPANESE METAL GIANT KOI FISH WITH MEN RIDING ON TOP. 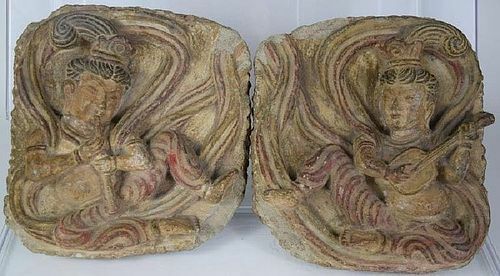 Elaborate bases finely decorated with DRAGONS and CLOUDS, and curved feet. Good condition overall, bottom screws on base of one replaced. Size: 13" inches tall, weight 25 lbs. for both (H. 33 cm., weight ~ 12 kgs. for both). 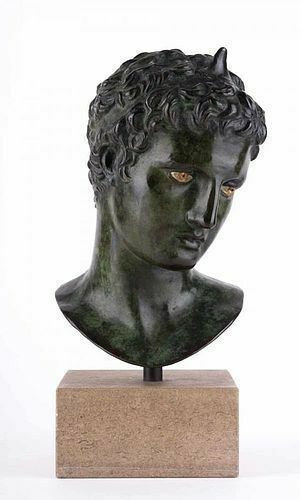 BRONZE SCULPTURE OF HANDSOME ADOLESCENT OF MARATHON, 19th Cent. A very Handsome and Young BRONZE SCULPTURE OF AN ADOLESCENT, sculpture-volume after an Antique Model, mounted on a custom made stone base. 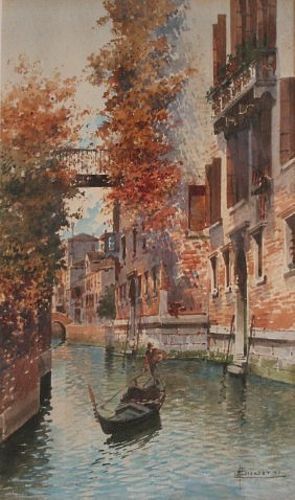 Unknown 19th Century Artist. Size: H. 26 cm. x 15.5 cm. without the base. Weight: ~ 10 kgs. (~ 22 lbs.). Original was found in Marathon, Attiki in 1925 and dates 340-330 B.C. depicting a winner in an athletic event wearing a crown of victory; also called "Adolescent of Marathon". 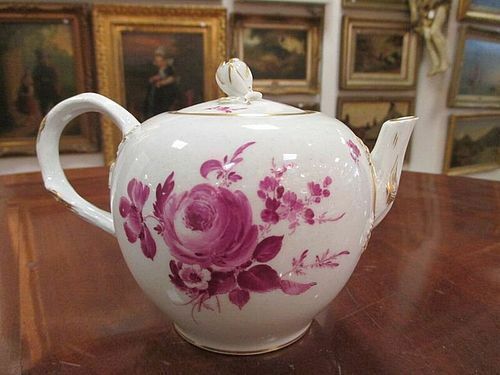 A beautiful and rare, small PUCE CAMAIEU & GOLD Porcelain Teapot with Floral Bouquets, ca. 1780, Thueringen, Germany (Gotthelf Greiner). The top is adorned with a stylized Rose for holding. Height: 10.5 cm Underglaze Crossed Swords Marking. Good overall condition. 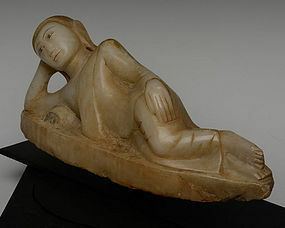 A well proportioned 19th Century Mandalay Alabaster Buddha in the less common reclining position "PARINIRVANA", representing the passing of Lord Buddha into Nirvana after his death. 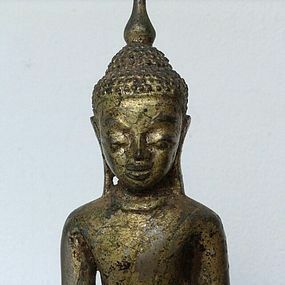 A very attractive collector's piece and a good example of the artistic skills of the well known sculptors of Mandalay. There are traces of paint which underline the features and pleats of the robe. Good condition. Length 37.5 cm x H. 19 cm. 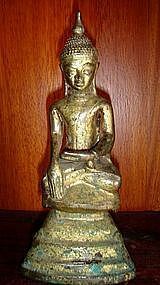 A very rare mounted SRIVIJAYA Thai Bronze Statuette of Buddha, 12/13th Century. Smooth naturally formed patina. Strong Khmer and some Javanese influence/characteristics. Good condition. Size H. 9.5 cm x W. 3 cm. x D. 1.75 cm. A true collector's piece! 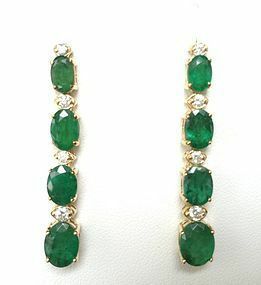 A beautiful pair of good color genuine Emerald and Diamond Earrings set in 14K. Gold for pierced ears. 8 Emeralds @ 6.50 ct. and 8 Diamonds @ 0.35 ct. total weight.